Fierce, feminine and highly functional. This sophisticated Lay “D” Jacket from Columbia knows how to work a mountain as well as it knows how to work the urban scene. 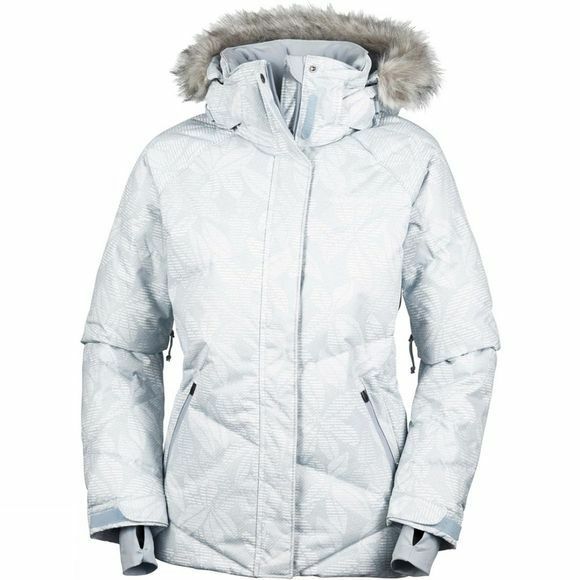 550-fill power down and thermal reflective technology creates a stop-cold barrier between you and frigid temperatures. Rain, sleet and spills simply bead off the exterior, thanks to Omni-Shield advanced repellency. Inside, an Omni-Heat Reflective lining offers 20% more warmth than ordinary liners. 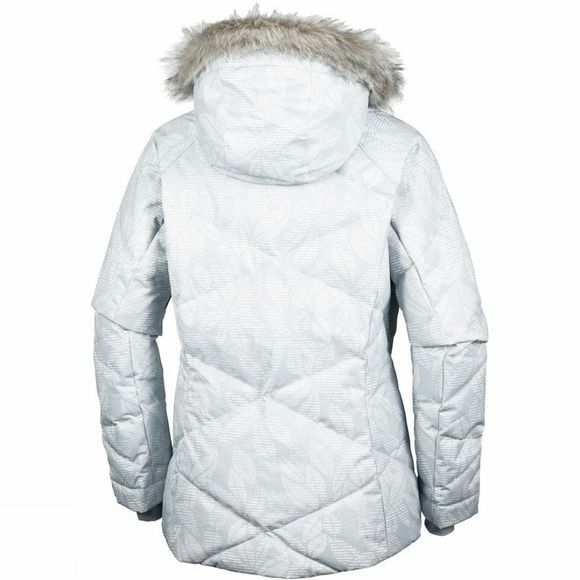 Removable faux fur frames the hood, while a lusciously soft high-pile fleece lines the collar for cozy comfort. Clever baffling lines create a welcome slimming effect; raglan sleeves enhance mobility. Interior security and media pockets provide handy stash spots for tunes, smart phone and more.